Real Madrid collected their second consecutive win in the Spanish League this Saturday afternoon, after visiting and beating Valencia 4-1 at the Mestalla. Cristiano Ronaldo scored twice from the penalty spot, while Marcelo and Toni Kroos scored a goal each to help sealing the deal. 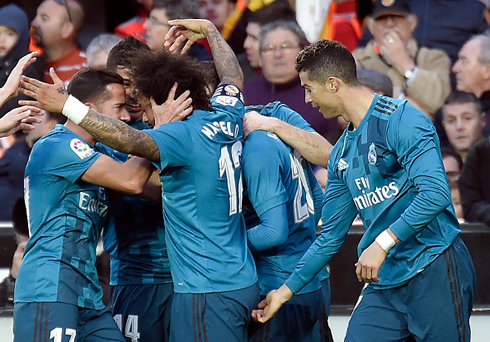 It may not make much difference to the title race in Spain anymore, but Real Madrid pulled off an important win away at the Mestalla, after beating Valencia 4-1 and cutting the gap to "Los Che" to only 2 points. Just like when someone finds himself on a lucky streak on bCasino, everything went Madrid's way today, and well, that was certainly more like it. Real Madrid left Valencia today having achieved something that they hadn't since 2013, an away win at the Mestalla. But it wasn't just any win, it's one of the few times this season that we've looked like the Madrid of old. 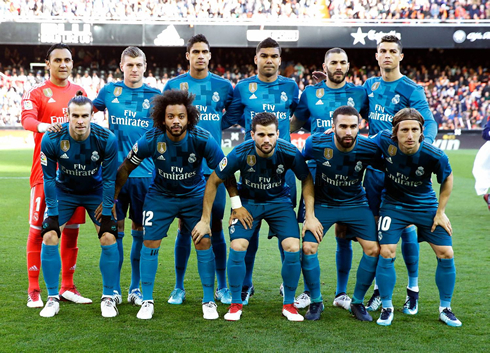 Cristiano Ronaldo with a double following two penalty kicks and then Marcelo and Toni Kroos also scoring goals inside the last 10 minutes of the game, all helped the Merengues recovering some of their confidence and securing the 3 points against one of their rivals for the Champions League spots this season. 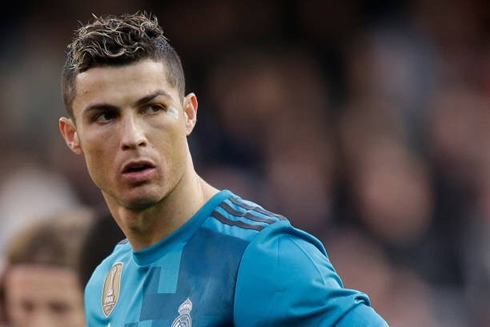 A pair of penalties from Cristiano Ronaldo in the first half and an impressive pair of goals late on by Marcelo and Kroos, were enough to give Madrid a much needed 4-1 victory over their third-placed rivals. Zidane was back with the 4-3-3 today, as Isco's injury made the decision quite easy. However, it appears we won't be seeing the 4-4-2 anymore, as Madrid have been firing on all cylinders with this formation. Madrid moved the ball quickly at times in the first half and their movement and dynamism in the final third forced Valencia onto the back foot and they eventually crumbled with Martin Montoya being the biggest culprit causing two penalties. Thankfully for Ronaldo, Diego Alves, statistically the best goalkeeper at stopping penalties in La Liga history, was sold last season and against Neto he had no problem putting away both spot kicks. The second half was a bit more even and Valencia even put Madrid on the backfoot for about half an hour. Poor defending from a corner allowed Santi Mina to cut back the lead and as the game went on, it began to feel as if the equalizing goal would be right around the corner (so has the season gone so far). But with the match winding down, Real Madrid turned on the style. Brilliant football all around, as Marcelo and Asensio played hot potato with the ball down the left flank, in a superb move that culminated in a Marcelo goal right between Neto's legs. No crossing, just intricate football through the middle. And to cap it off was a trademark Toni Kroos finish after a neat one-two with Kovacic at the edge of the box. Kova's brilliant backheel into the path of Kroos made it easy for the German and suddenly it was 4-1. You could see a palpable sense of relief across the face of the Madrid players. They are finally beginning to look like the team we know and love. That PSG match will define our season, but we seem to be heading into it in better form at least. Hala Madrid! 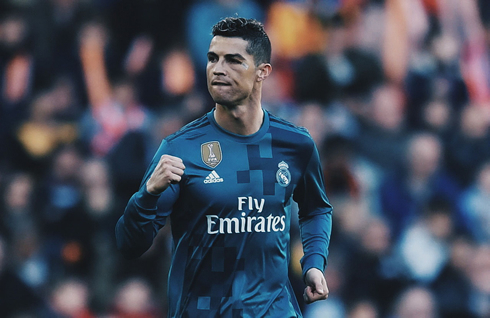 Cristiano Ronaldo next game for Real Madrid is on February 3 of 2018 against Levante. You can watch Juventus live stream, Levante vs Real Madrid, Barcelona vs Alavés, Liverpool vs WBA, Cardiff City vs Manchester City, and AC Milan vs Lazio, all matches provided from our streaming and live football game pages.